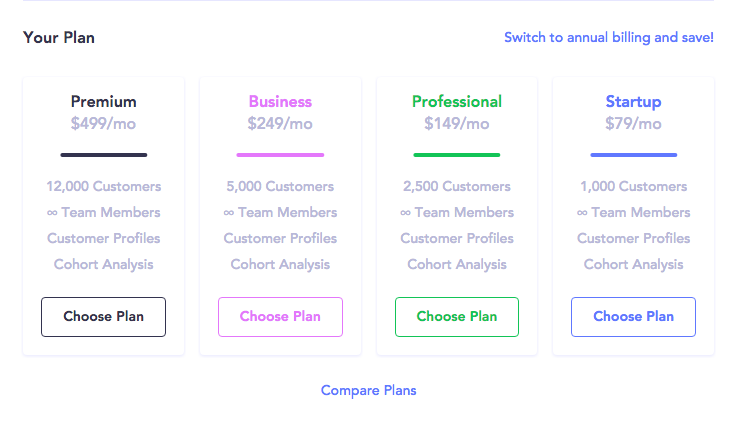 Pro Tip: Switch to an annual plan and save two months on Baremetrics. Nice! Head to the Billing section of the Settings page and click Choose Plan for the plan you would like to move to.